In a special gesture towards postpaid mobile customers of Karnataka circle, BSNL has decided to slash 3G data usage charges drastically. BSNL postpaid customers are charged 1p/10 KB (~Rs. 1000/GB) all over India. Starting 15th February 2014, BSNL Karnataka customers will be charged 4p/100 KB (~Rs. 400/GB). This is certainly a welcome move and will certainly encourage customers to use more data! Hope such tariff reductions are effected for prepaid customers too! As of today prepaid customers are charged 2p/10 KB for volume based usage and also for usage beyond free limits offered by different STVs. With this it appears that BSNL is moving from a Fair Usage Policy (FUP) to Fair Pricing Policy (FPP). One can expect these tariff changes to be effected PAN India in the coming days. If same changes are effected PAN India or in prepaid segment, it can certainly trigger a data pricing war. 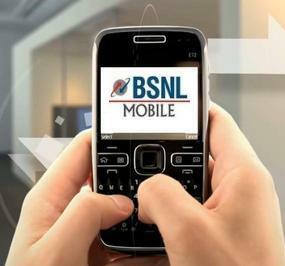 What do you, the readers feel about this move by BSNL? Use bsnllive apn for lower base charge,only 25p/1000kb.